Glenn Bernard of Presque Isle fingers through his elver catch from the previous night to try and find eels small enough to sell in Brewer in this May 2013 file photo. 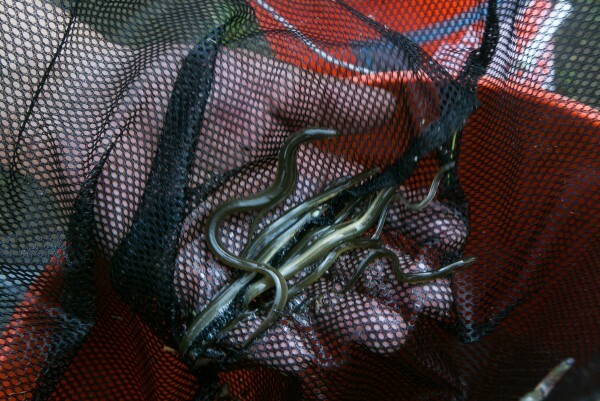 ELLSWORTH, Maine — New rules for the elver fishery that were overwhelmingly approved Tuesday by the Legislature will result in a delay of at least two weeks to the start of the season, according to state officials. Jeff Nichols, spokesman for the Maine Department of Marine Resources, said Tuesday that because of the time needed to work out the logistics of the new measures, the season is not expected to start until next month, most likely sometime after April 5. The bill approved Tuesday by the House and Senate, LD 1625, establishes the percentage of the statewide catch limit that will be reserved for Maine’s Indian tribes and gives DMR authority to set individual quotas for non-tribal fishermen. According to the bill, it will be up to the tribes to decide the amount that each individual tribal fisherman will be allowed to catch. The bill also sets penalties for any fisherman who exceeds his or her catch quota. It requires the department to suspend a fisherman’s license for a year for a first offense and to revoke it permanently for a second offense. It sets a mandatory fine of $2,000 for anyone who continues to fish after reaching his or her quota. Another bill approved last week by the Legislature, LD 1723, gives DMR the authority to implement a swipe card system that will keep track of reported landings as each fisherman sells his or her catch to a licensed dealer. That bill also allows the department to postpone the start of the annual season, which traditionally lasts 10 weeks, beyond the usual March 22 opening date. Nichols said that, with Tuesday’s passage of LD 1625, the department now has to determine the individual catch limits for all of Maine’s 432 nontribal licensed fishermen and to prepare the swipe card reporting system that will be used to enforce the individual quotas. Interest in the fishery has soared since 2011, when demand in Asia for the juvenile eels skyrocketed. Elver fishermen in Maine were paid an average of $185 per pound in 2010 and nearly $900 per pound the following year. Since then, the average price Maine fishermen have earned for their elvers has been more than $1,800 per pound. This will be the first year that Maine has an overall limit on the amount of juvenile American eels that can be harvested. In past years, the state has restricted the impact of fishing on eel populations by limiting only the amount of licenses and gear that can be used statewide. The Atlantic States Marine Fisheries Commission has told state officials that no more than 11,749 pounds of elvers can be harvested in Maine during the 2014, which traditionally has lasted for 10 weeks. That limit represents a 35 percent reduction from the 18,000 pounds that were caught statewide in 2013. The bill approved Tuesday reserves 22 percent of the statewide catch for Maine’s four Indian tribes. 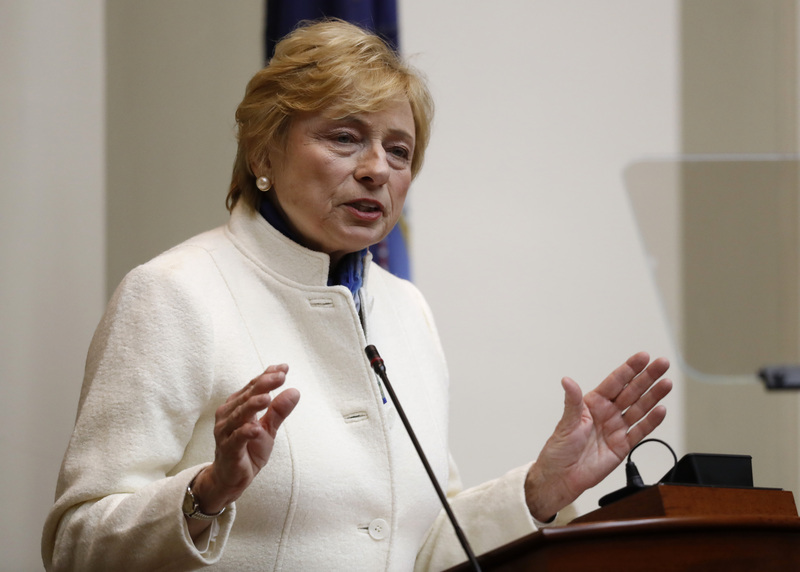 The Passamaquoddy Tribe will get 14 percent of the statewide quota, the Penobscot Nation will get 6.4 percent, the Maliseets 1.1 percent and the Micmacs 0.4 percent. However, sharp differences remain between the state and the Passamaquoddy Tribe over how the elver fishery should be managed. For each of the past two seasons, the tribe has issued hundreds of licenses to their members despite the objections of DMR officials. Last year, Marine Patrol officers cited dozens of Passamaquoddys who were found fishing with tribal licenses that had not been approved by the state. Prosecutors later dismissed the charges, however, saying it was unfair to target fishermen who were caught up in an intergovernmental dispute. Passamaquoddy officials have said this year that they intend to limit the tribe’s overall 2014 quota to 1,650 pounds, which is consistent with a 14 percent share of the statewide catch limit. But they also have said they strongly oppose imposing individual quotas on their members. Earlier this year, state and Passamaquoddy officials were close to working out an agreement on how the tribe would manage its fishery, but it came undone when the attorney general’s office raised concerns about the constitutionality of parts of the agreement. Attempts Tuesday to contact Passamaquoddy tribal officials were unsuccessful. Walter Kumiega, a state representative from Deer Isle and co-chairman of the Legislature’s Marine Resources Committee, said Tuesday that even with the continuing differences between the Passamaquoddys and the state, the passage Tuesday of LD 1625 is a significant step toward addressing a significant issue in Maine’s elver fishery. Kumiega, who also represents Maine on the Atlantic States Marine Fisheries Commission, said poaching has been a big issue for other states along the East Coast. Maine is one of only two states that allow elver fishing (South Carolina is the other) and is the only state with a significant harvest. Other states have had to deal with people illegally harvesting elvers within their borders in the hopes of smuggling them into Maine for a big payday. By setting individual quotas on Maine fishermen, officials hope the economic incentive for licensed fishermen to illegally sell elvers caught by people without licenses will be greatly reduced, he said. As for the delay to the start of the season, Kumiega said it is not expected to have much of an effect on the actual timing of landings. This winter’s cold weather, including low temperatures this month, and heavy runoff into streams from thawing snowpack is expected to keep the juvenile eels from swimming from the ocean into Maine’s tidal estuaries for several weeks, he said. “It’s going to be a slow start to the season,” Kumiega said.